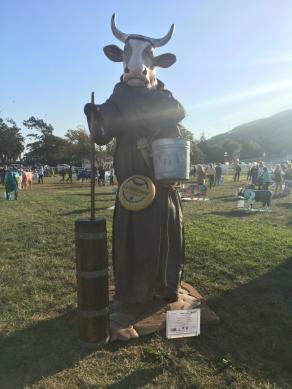 San Luis Obispo County has 101 new members of the cow-mmunity! 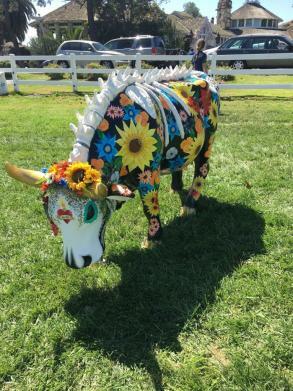 A herd of colorful, artistic and adventurous cows have stampeded into the cities and towns of San Luis Obispo County for CowParade SLO County, an international public art exhibit that has been featured in such cities as Paris, Hong Kong, Athens, London, New York and many others. 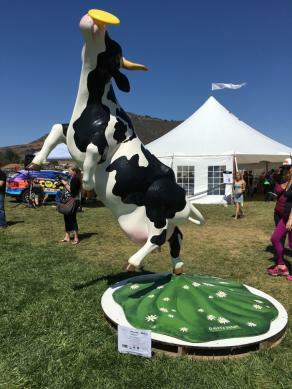 Why 101 cows? 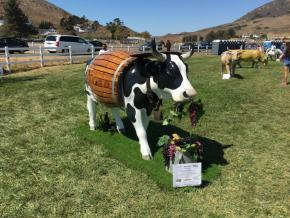 For Highway 101 of course! 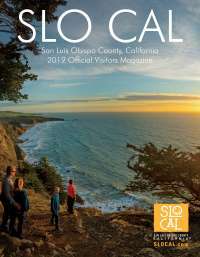 San Luis Obispo County is perfectly located halfway between Los Angeles and San Francisco and Highway 101 goes directly through most of our major cities making it the perfect stopover on your road trip. 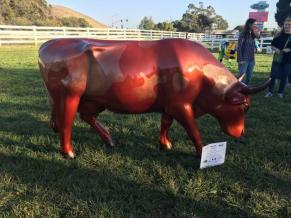 These life-size cows will be on display now through May 2017 where they&apos;ll then be auctioned off to charity. 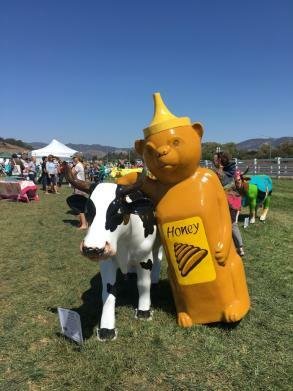 Net proceeds will benefit the California Mid-State Fair Heritage Foundation, The Land Conservancy of San Luis Obispo County and ARTS Obispo, as well as other county nonprofit organizations. 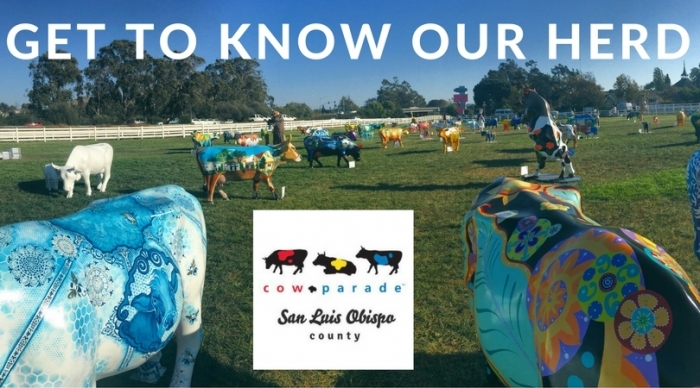 Check out one, two or all of them the next time you&apos;re in San Luis Obispo County. 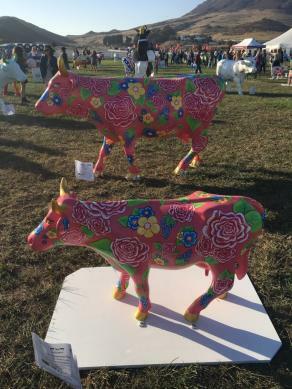 Go to CowParadeSLO.com to find out where they&apos;ll be grazing for the next eight months. 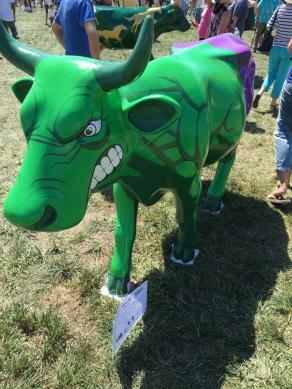 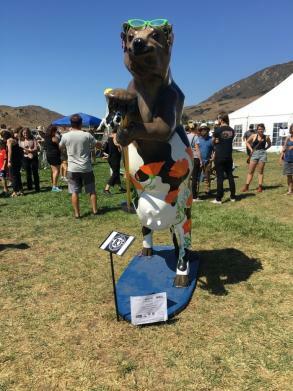 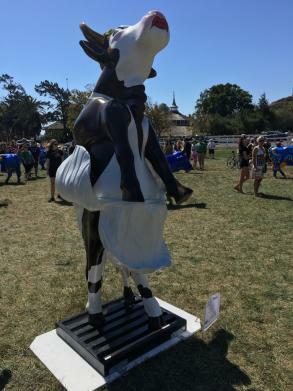 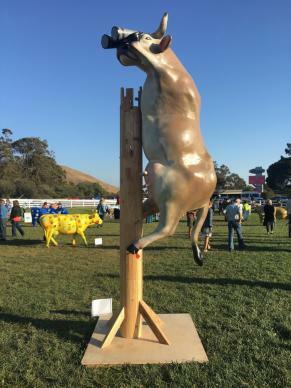 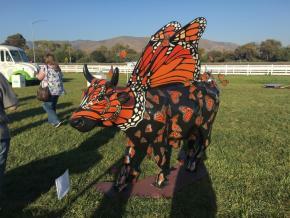 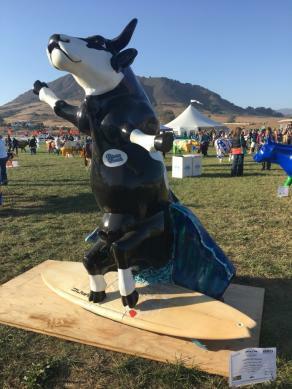 Don&apos;t forget to keep your eye out for Visit San Luis Obispo County&apos;s Adventure Cow! 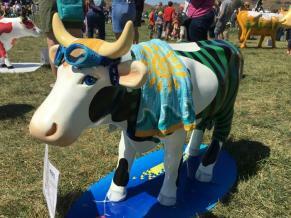 She can&apos;t sit still and will be roaming the county, experiencing everything from ziplining and surfing to the Polar Bear Plunge - erhm ... Polar Cow Plunge - and grape stomping. 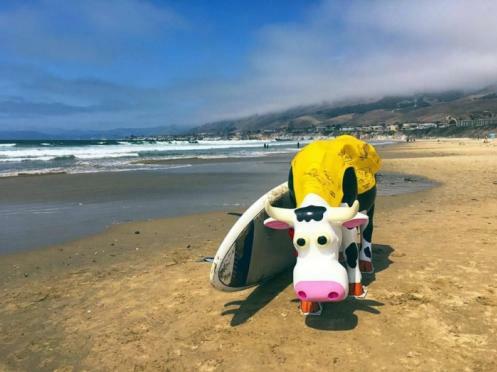 If you see her, be sure to tag #AdventureCow!